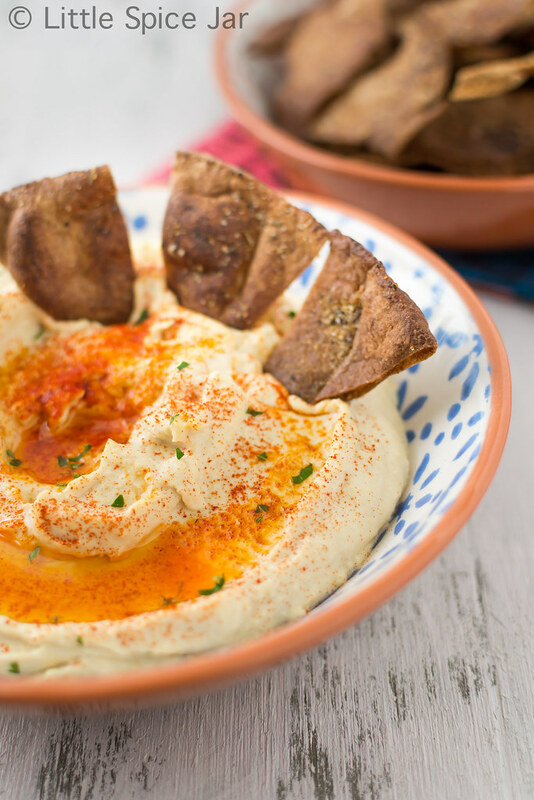 Deliciously creamy restaurant style hummus with homemade whole wheat pita chips. This is a classic hummus recipe that is sure to please everyone! TGIF! This has really been a week! Let’s see, on Wednesday I got a email for a sale at World Market. 25% off! I just about jumped when I got it. I am obsessed with that store. So obvi, I dropped everything and went. Loaded up a cart full of stuff and headed to check out. The lady at the counter looked at me and said it didn’t start until Friday. And I was all like, “but I’m a member! I get to shop a day early! !” And she’s all like, it’s Wednesday! So yeah. In reality, I showed up 2 days early for the sale. I was that excited! But i’m super picky about it. It has to be perfect in texture. I despise super thick hummus. You know the kind i’m talking about. Like globs of chunky peanut butter in my mouth! Don’t get me wrong, I love chunky peanut butter, it’s just not what I want from my hummus! 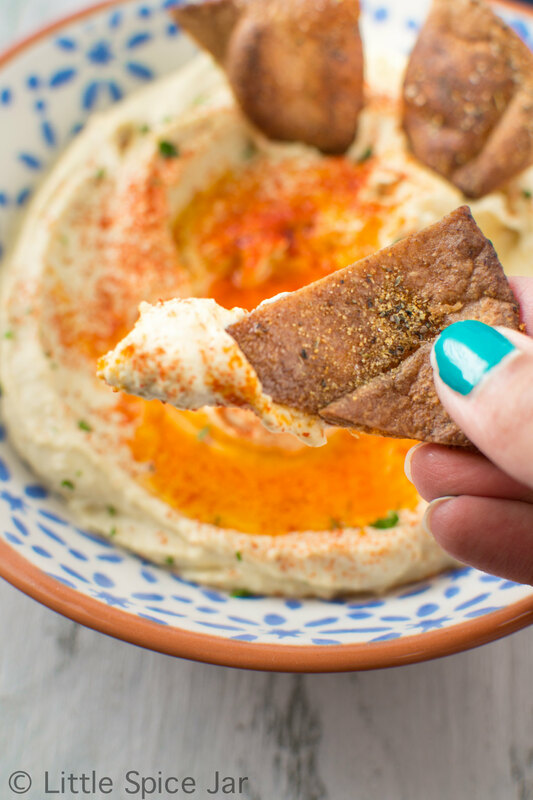 So today i’m sharing my favorite ultra creamy restaurant style hummus recipe + homemade pita chips. 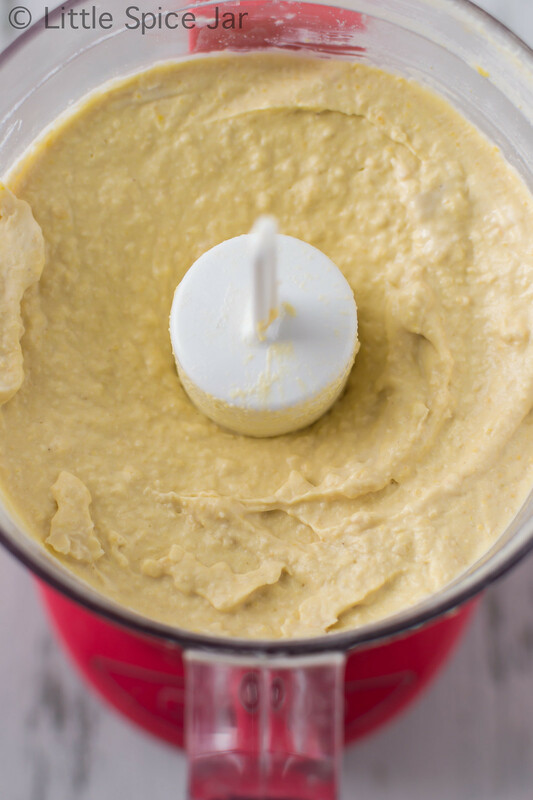 Every time I make this hummus for a party, people ask me for the recipe! That seems to me like it’s a good sign. If you’ve never made hummus at home, i’m going to strongly advise you to do so! 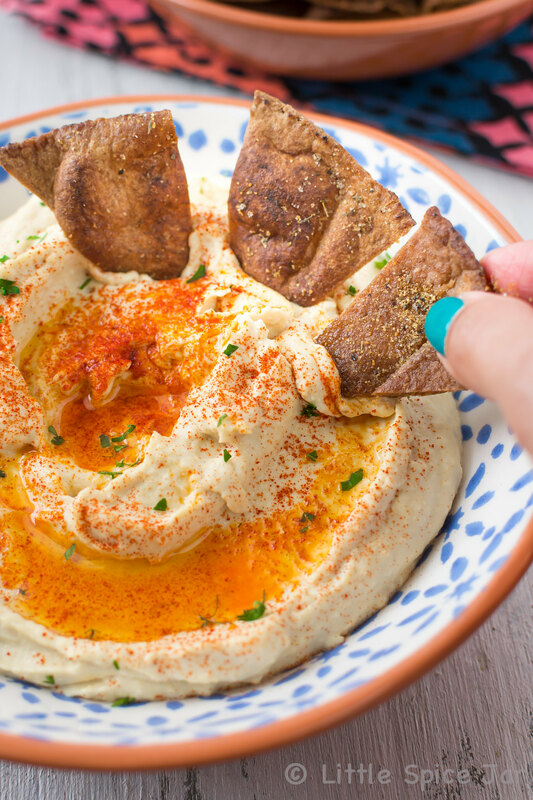 There is nothing like the taste of homemade hummus! You’ll be glad you did. I accept gratuity in the form of coffee at all times. Justt kidding. Grab some store bought pitas. I used 100% whole wheat pitas. That’s why they look so dark. I didn’t crisp them to a char, promise! If you’ve got some lying around the house that are getting stale, that’s perfect. If you’ve got time, let the pitas sit out on a cutting board for at least an hour. This helps ensure they are super crisp when baked. Cut the pitas (or pita pockets) into 8 pieces. I had jumbo whole wheat pitas I had to cut mine into 24 pieces! Make wedges, diamonds, whatever you like. 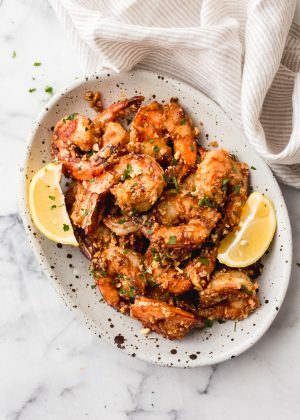 Mix the 1/4 cup of olive oil with the italian seasoning, garlic powder, and sea salt. Brush the oil mixture on both sides of the pita wedges. Bake the pitas for about 7 – 9 minutes. Keep an eye on them. Depending on the brand they may require more/less time. Isn’t that easy? The whole process of making the chips + hummus should be about 20 minutes! And now for the best part, the hummus. This is my absolute favorite classic hummus recipe. I don’t plan on changing this up one bit. 1. What is tahini? Tahini is sesame paste. It’s a very common ingredient used in hummus. Nowadays tahini is available in most supermarkets. Look for it in the ethnic food aisle. 2. Adjust the garlic to your liking. I used a tablespoon of the stuff that comes minced in a jar. It’s a little less potent then the fresh stuff. If you’re using raw garlic, go easy. Start with 1 clove and work your way up. 3. Do I have to peel the chickpeas (garbanzo beans)? Not. at. all. 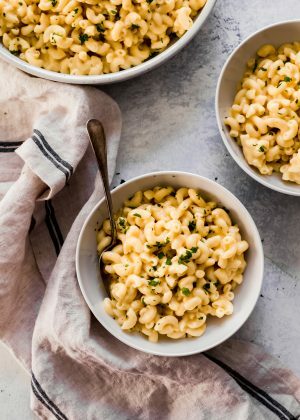 The super creamy texture can be achieve even with the outer-casing of the chickpea left on. It’s all in the process! 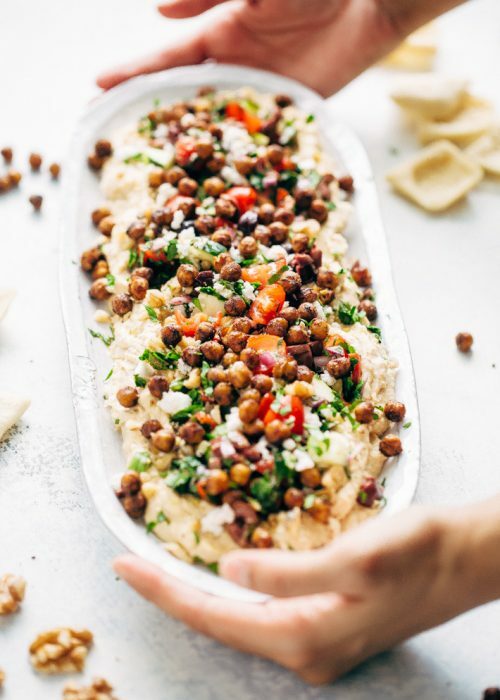 This is the creamiest restaurant style hummus, you and your guests are going to love it! This is the blender I use. It’s a Cuisinart and it’s pink. It gets the job done and it costs about $35. No need to rush out and buy any special equipment for smooth hummus. Its HOW you make it that matters. We’re going to be starting and stopping the food processor a few times. 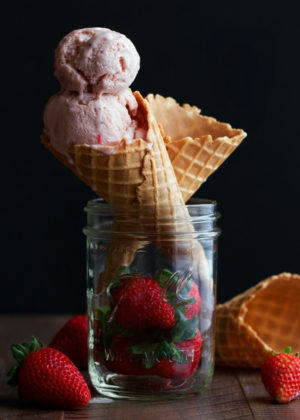 The ingredients have to be added in batches to ensure that creaminess is achieved. Be sure to save about 1/4 cup of that chickpea liquid that comes in the can. Alternately, you can use water. 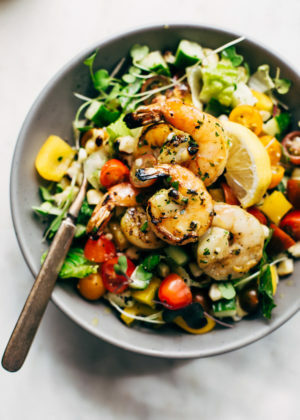 Start by processing the tahini, lemon juice, and minced garlic. You want to make sure the garlic is evenly dispersed throughout. One teeny, tiny chunk of the raw stuff could have you tasting it in your mouth till next week! Once completely blended, add 1/2 the chickpeas (garbanzo beans), 2 tablespoons of olive oil, 2 tablespoons of the reserved chickpea liquid, the salt, and cumin. Continue to blend. Stop a few times in between and scrape the sides as necessary. Add the second 1/2 of the chickpeas, olive oil, and chick pea liquid. Continue to blend until completely smooth. 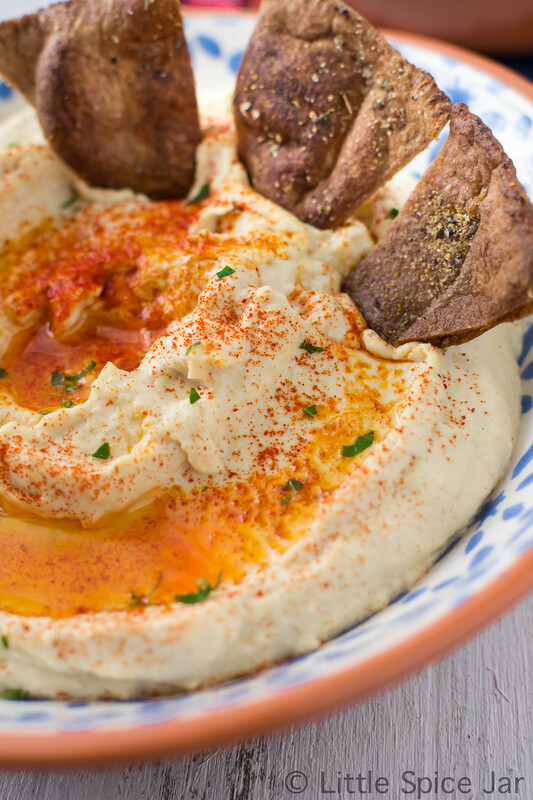 Spoon the hummus into a bowl, decorate with a teaspoon or two of olive oil and a small pinch of smoked paprika. That. is. it. No biggie, right?Now grab a pita chip and scoop up a healthy bit of that hummus on there. Sharing is totally optional. I won’t judge if you don’t! 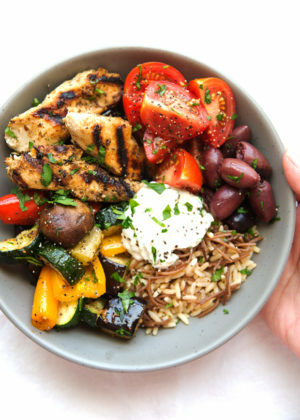 You could even spread this on pita wraps with your favorite deli cuts and veggies for a quick and healthy, gourmet lunch! How do you enjoy your hummus? Do tell! 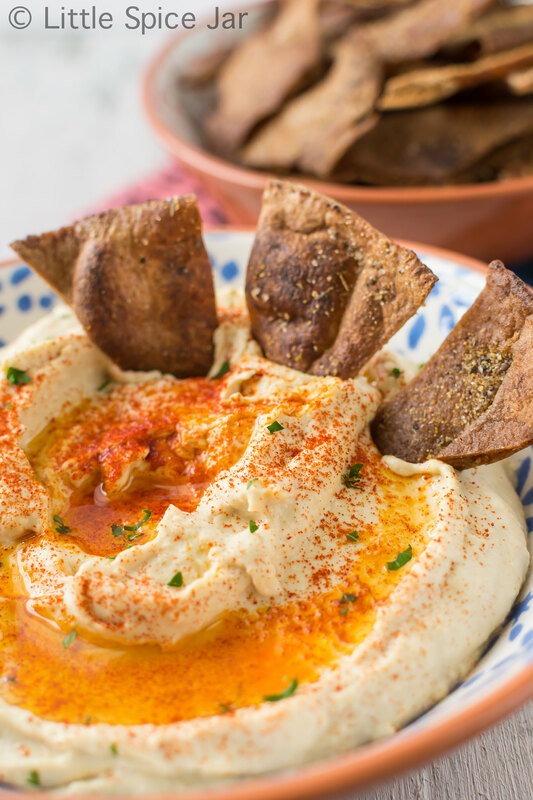 Deliciously creamy restaurant style hummus with homemade whole wheat pita chips. 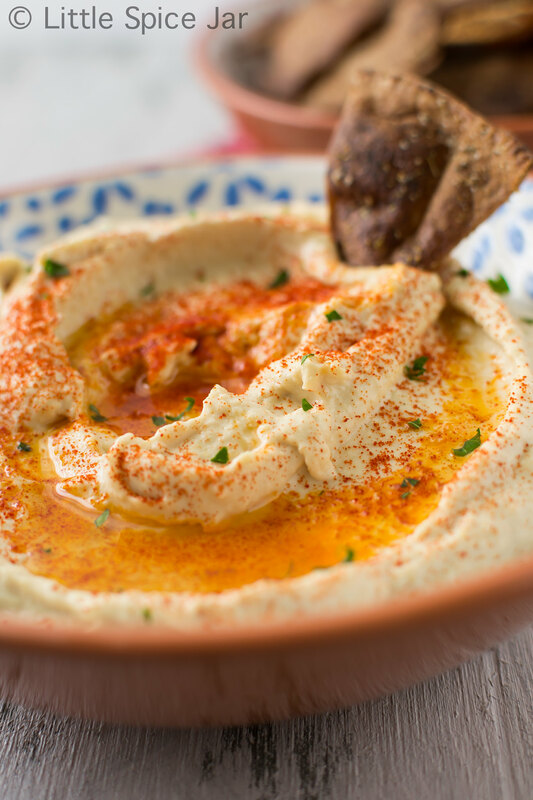 This is a classic hummus recipe that is sure to please everyone! Use the hummus as a spread on pita wraps and sandwiches along with your favorite veggies and deli meats! Place a rack in the center of the oven and preheat the oven to 425 degrees F. Line a baking sheet with parchment or a silicone mat. Set aside. 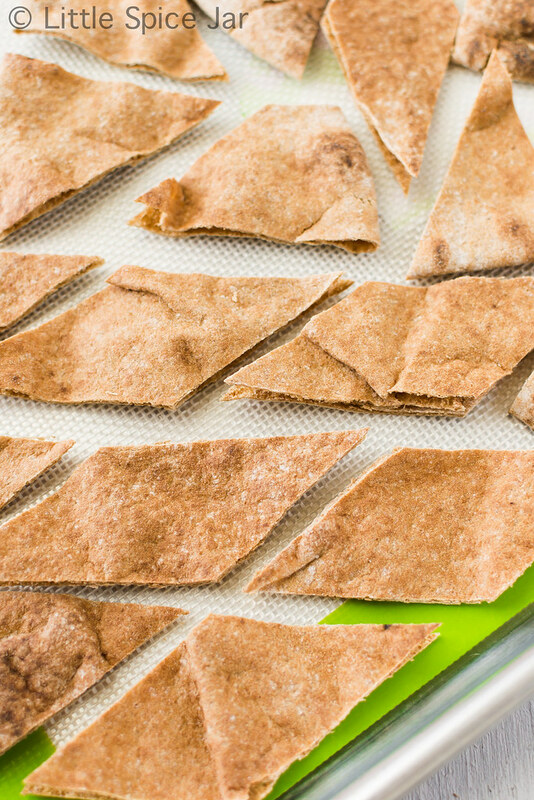 Cut each pita into 8 - 12 triangles and arrange on the baking sheet. 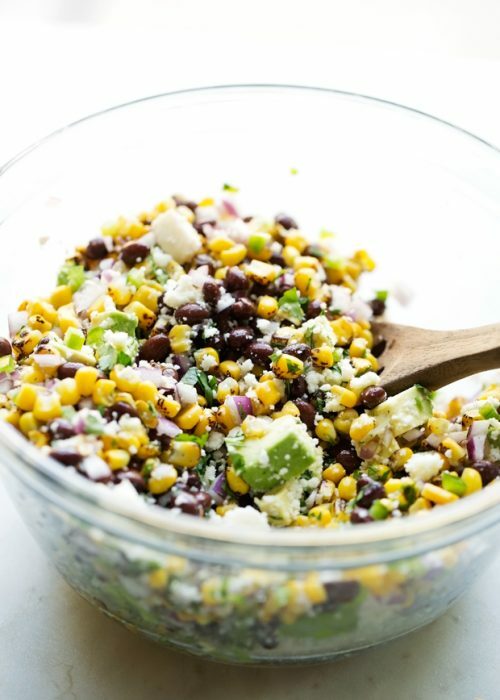 In a small bowl, whisk the oil, garlic powder, Italian seasoning, and sea salt till combined. 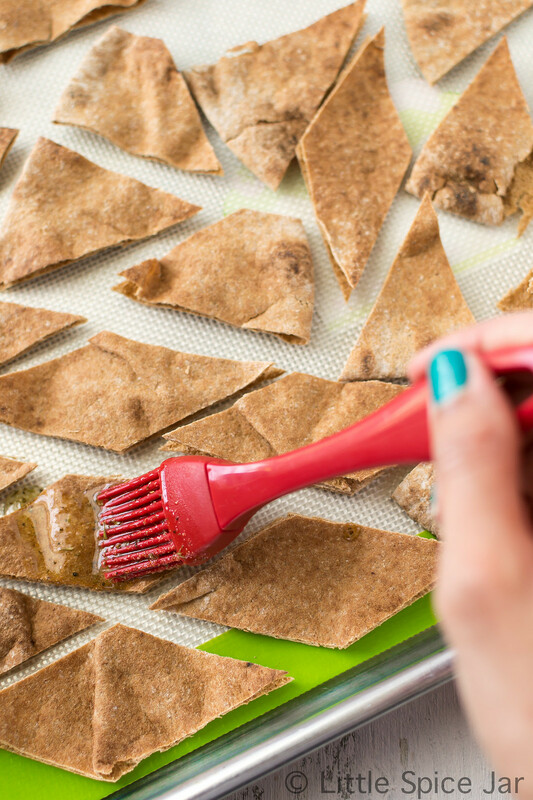 Brush each pita triangle with mixture on both sides. 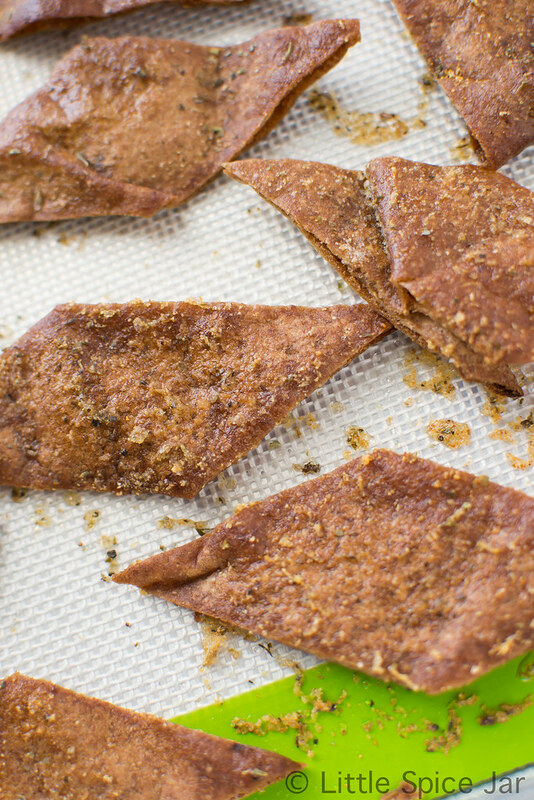 Bake pita triangles for 7-9 minutes, or until browned and crispy. Allow to cool as the hummus is being prepared. Place the tahini paste, minced garlic, and lemon juice in a food professor and process until the garlic breaks down into a smooth paste. Add half the chickpeas, half the reserved liquid or water, and half the olive oil and continue to process until smooth. Add the salt, cumin powder, and the remaining chickpeas, reserved liquid, and olive oil. Continue to process until completely smooth. Spoon hummus into bowl, drizzle with additional olive oil, a pinch of smoked paprika, and a few leaves of chopped parsley. Serve with the prepared pita chips, carrot sticks, and celery. Hummus can be kept in an air tight container for up to 5 days. *If you're using fresh garlic, I suggest starting with 1 clove and working your way up from there. I used the minced stuff that comes in a jar, it's less potent and it makes the hummus taste just like the stuff in restaurants! Do you know how long this would stay good in the fridge? Looks amazing!! I just ran across your blog and it’s def gonna be one I visit regularly. This hummus recipe is amazing!!! There’s a local Greek restaurant known for their hummus and your recipe tastes just like theirs! Well done! I googled restaurant hummus recipe and found this and I had to leave a comment because it was definitely the best I’ve ever made! 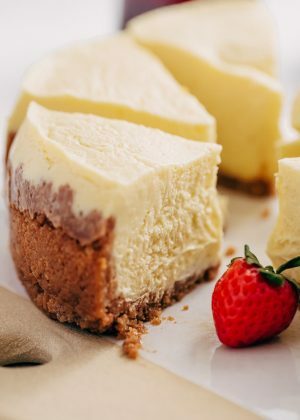 Super creamy and delicious! I doubled the recipe, added 50% more garlic, and added about a 4″ piece of celery, but other than that I followed the recipe as is. Thanks Marzia! 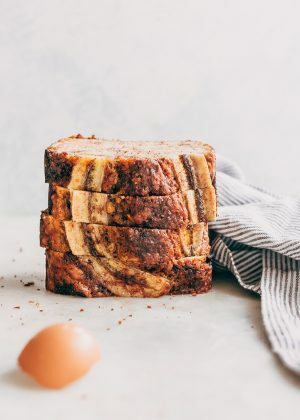 Yet another recipe that bets the best recipe I’ve found for the same thing. 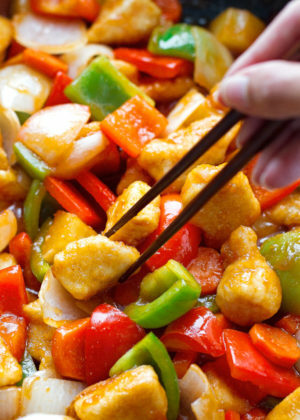 Almost identical recipes… haven’t worked out yet exactly what makes yours so much better – but boy is it good! My husband has never been much of a hummus fan, but he loves this. This is way creamier than any restaurant hummus I’ve had. I did cook the chickpeas myself and ended up with more than the recipe required but I just put them all in and it worked perfectly. 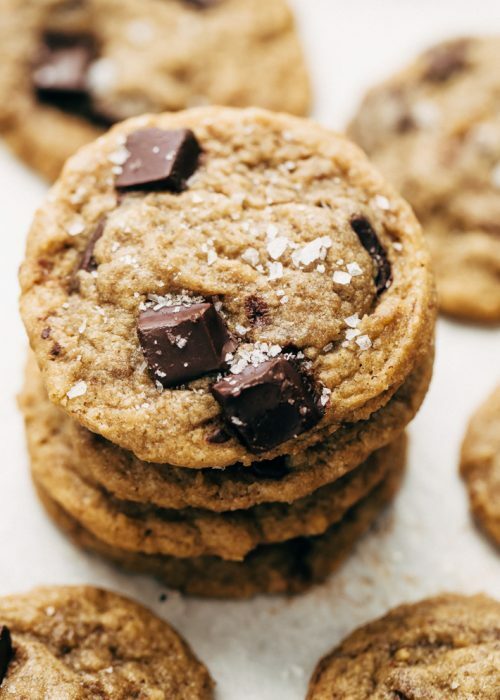 LOVE, LOVE, LOVE this recipe, like so many others on your site. Thanks again! 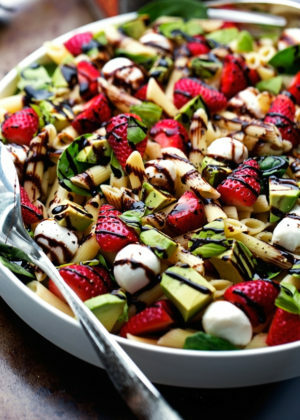 Just made this for lunch later! 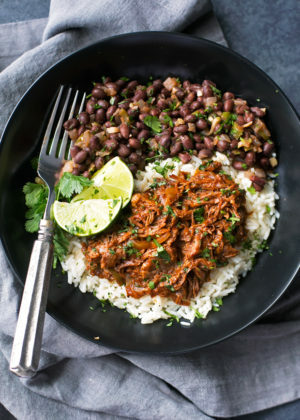 Absolutely delicious and so quick and easy!! Will be making again soon. Thanks so much for the recipe, just found your blog this morning and so pleased I did! I’m so glad you liked the recipe! Thanks Rachel! I am completely addicted to hummus…I just ate some like an hour ago! 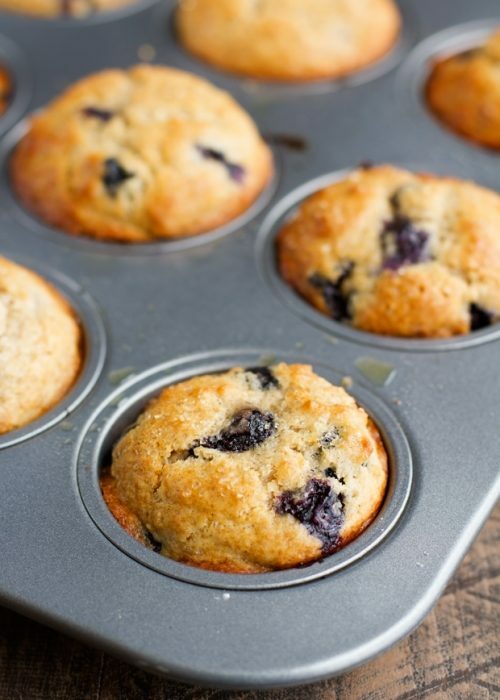 My recipe is really similar, but yours looks absolutely beautiful in those photos! Lovely post, Marzia! I make hummus pretty much the same way. 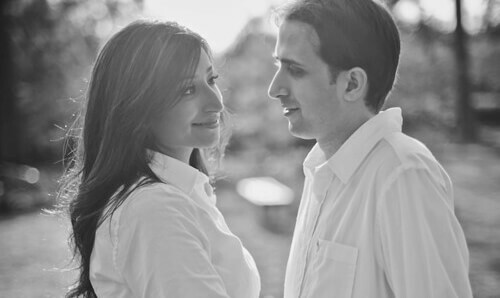 Yours looks incredibly light and wonderful.